I'm honored to be a new member, and look forward to hosting all the members here. 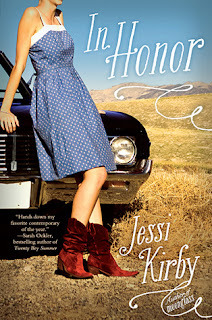 Today's guest is Jessi Kirby! 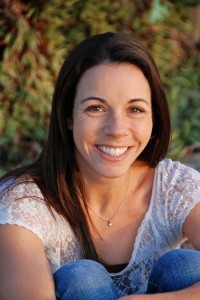 Jessi Kirby is the author of Moonglass, published in May 2011 by Simon and Schuster. She is also a former English teacher and librarian, wife, mom, beach lover, runner, and lover of Contemporary YA, strong coffee, and dark chocolate. In that order. Jessi’s second novel, In Honor, was released in May of 2012. Ha! Well since you ruled Ryan Gosling out... I would wish to be able to travel anywhere I wanted to just by thinking about a place. For starters, it'd save a lot on airfare! But more seriously, I haven't done much traveling yet, and it's a thing I've always wanted to do. I also think it'd come in quite handy when I need to get the setting of a story right. I could just go there and voila! Best research tool ever.